Glitter is essential throughout the Christmas season. Whether it’s the tinsel on your tree, the sequins on your dress or the sparkle of your eyeshadow – it’s a must-have during the festive season. Channel your inner-ice queen with twinkling silver eyeshadow, or opt for warmer tones and use a light dusting of shimmering champagne gold. Rose-gold is a super pretty alternative to silver and gold, and it gives a festive make-up bag a feminine touch. 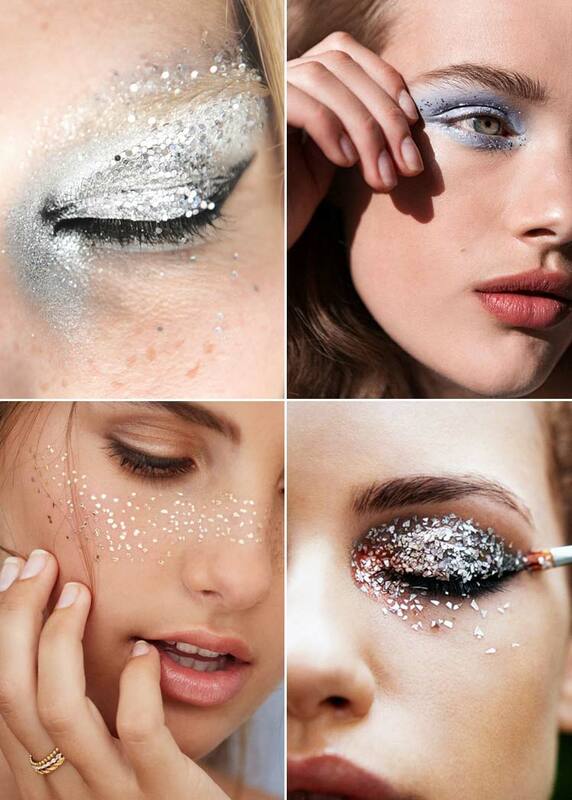 The glitter doesn’t just have to stop at your eyeshadow! Sequin-inspired manicures and glittering lip gloss are obligatory for Christmas. Copper really is the metal of the moment. The warm, luxurious tones teamed with a modern twist make it an ultra-stylish choice for your Christmas make-up. 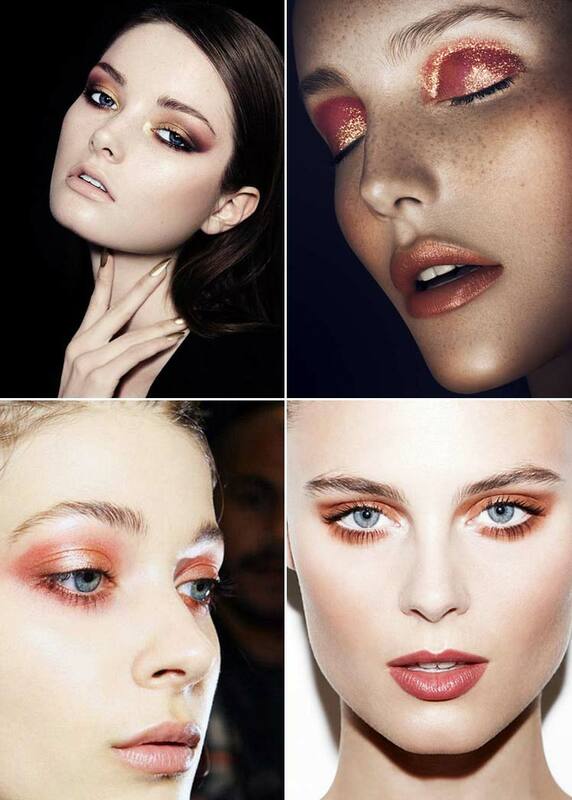 Create a contemporary smoky eye style by blending copper tones with deep brown shades – the perfect combination! Alternatively, dazzling copper eyeshadow will look oh-so-glamorous on it’s own. Swap your dark Summer bronzer for cool Winter tones and use a copper-based bronzer instead. You’ll get the same effect as a traditional bronzer, just with a subtle copper shimmer. Metallic lipsticks are a seriously hot look for 2016, so why not try out a lippie that has subtle copper finish? You’ll be ready to take on that Christmas party in just one application of lipstick. We’ve all fallen in love with beautiful berry details and luxurious jewel tones this year, and they’re absolutely everywhere at the moment. Whether it’s wedding themes, home interiors or shop-windows, burgundy is making a big come-back. If you want to rock a vampy look without looking like you’ve mistaken Christmas for Halloween, deep red is the perfect colour of choice for you. Make a statement with a dark cranberry lipstick or a matte wine red lip colour. Compliment your make-up look with a light dusting of brown, cherry or golden eyeshadow – your lips can do all the talking with this style. A delicious scarlet red manicure is an absolute essential, and you’ll look fabulous as your carry your glam clutch bag into the Christmas party. If you can’t get the glitter out at Christmas, when can you? Plus, the festive season is the perfect time to play around with new metallic shades and dramatic ideas. Which is your favourite Christmas make-up style?